Here’s a snapshot of 2018 with some of my favourite pictures, plus some stories of how we in the media cover The Championships. 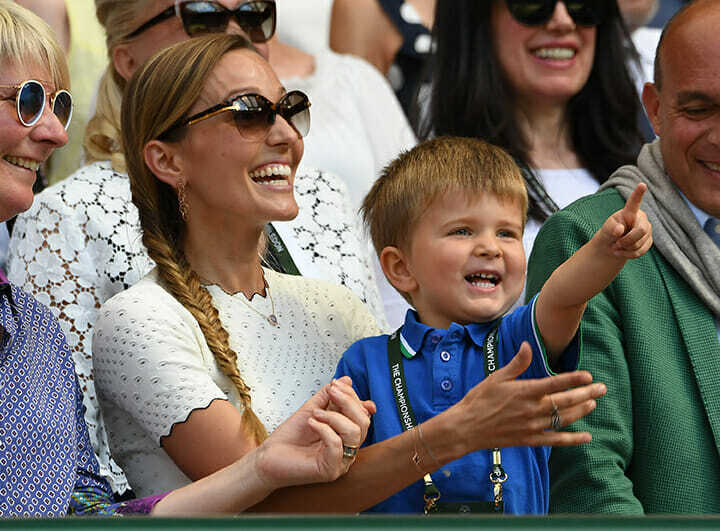 2018 Men’s Singles Champion Novak said when he spotted his four-year-old son Stefan with his mum Jelena in the players box as the trophy presentation began. 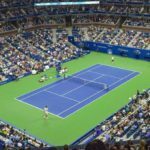 Wimbledon protocol dictates that player’s children cannot be present in the box during play until they are five years old. Last year Roger Federer had his two sets of twins in the box, so Stefan was bought in as the award ceremony began and promptly stole the show. 2. 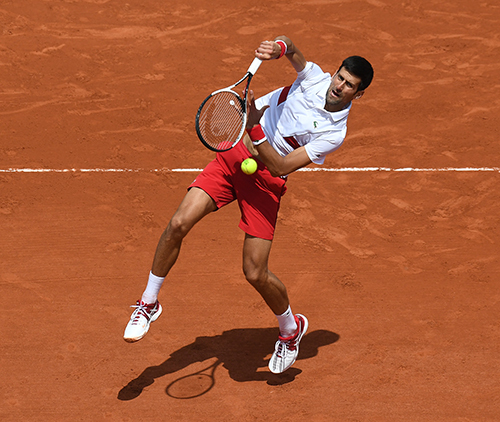 Novak Djokovic at his athletic best during the Men’s Singles Final. 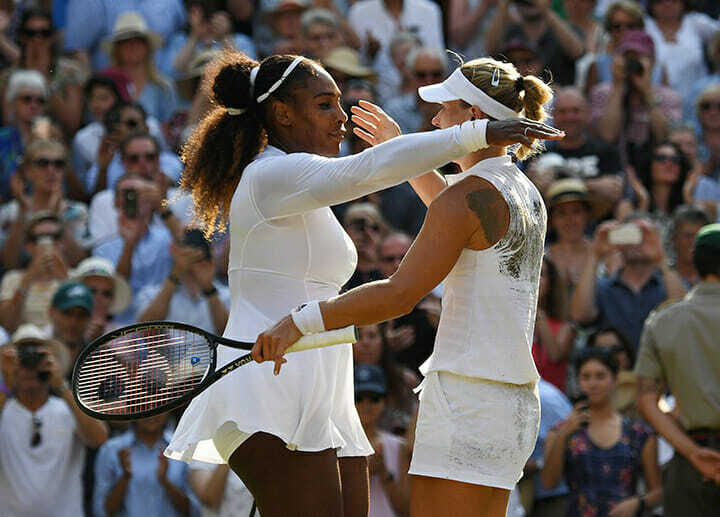 Serena Williams, who was chasing Margaret Court’s record of 24 singles titles and playing in her first final since giving birth to her daughter Alexis Olympia a year ago, congratulates winner, Germany’s 30-year-old Angelique Kerber, who now has three Grand Slam Singes titles: 2016 Australia, 2016 US Open, 2018 Wimbledon and career earnings of US$23,000,000. At Wimbledon I am nearly always listening to Wimbledon Radio or BBC Radio 5 live through bluetooth headphones while I am shooting a match to keep track of events on other courts in case there is an upset brewing. 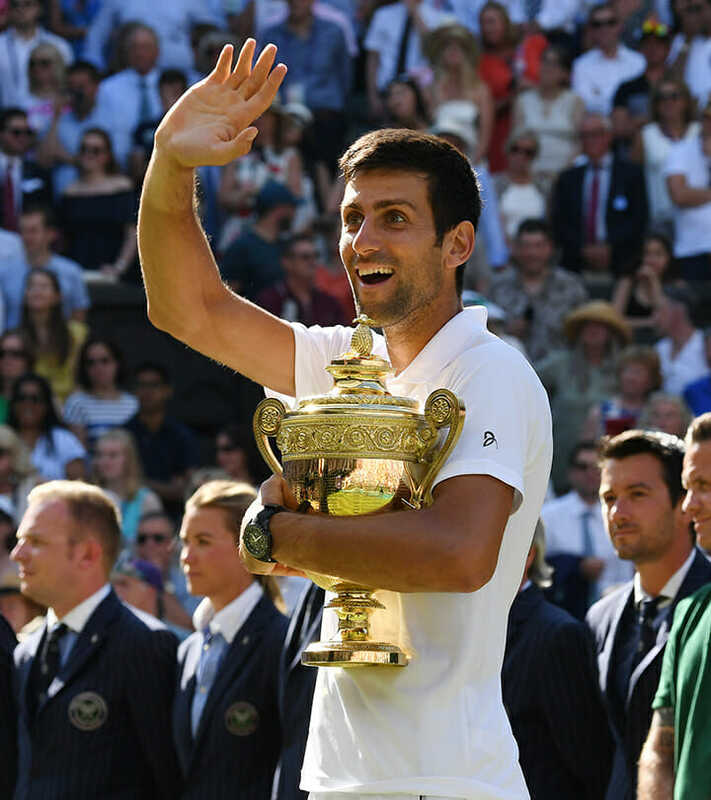 However, this time it was the Djokovic v Rafa Nadal epic semi-final that was making history, becoming the second longest ever Wimbledon semi final 6-4 3-6 7-6 (11-9) 3-6 10-8, lasting 5 hours and 16 minutes. 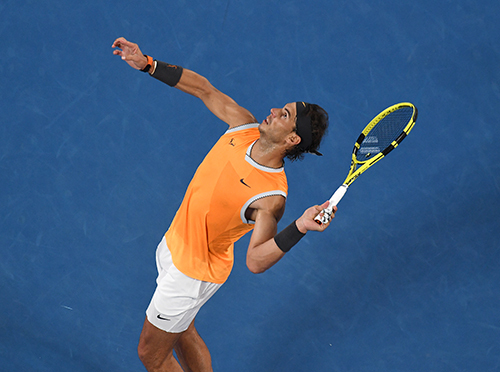 A few seconds of that time was due to a butterfly settling briefly on Rafa’s shorts in a “delicate” position and then on the frame of his racket as he was about to serve. Being the caring person that he is, Rafa waited until it fluttered off by its own accord, rather than trying to swat it away. The Radio 5 live commentary team had been constantly “filling” by referring to “two butterflies” flitting about centre court during that match, rather like cricket commentator Henry Blofeld and his pigeons on Test Match Special. 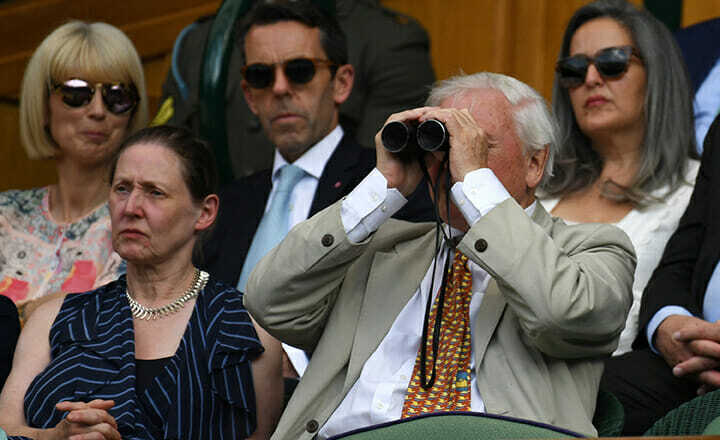 By coincidence legendary naturalist Sir David Attenborough was a guest in the front row of the Royal Box, and I spotted he was using his binoculars frequently. Perhaps it was the butterflies that he was looking at because he has just launched the world’s largest ever butterfly count on BBC Television. 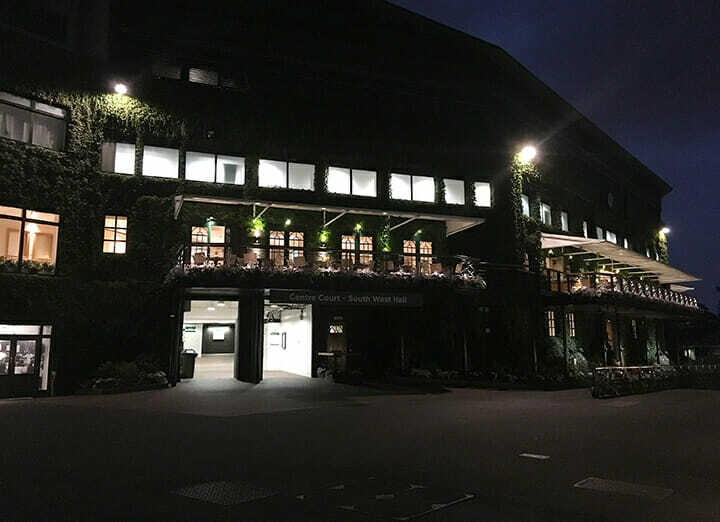 Like many major sporting events, Wimbledon or “The Championships” as the All England Lawn Tennis Club prefers them to be known, needs an army of volunteers to help things run smoothly. 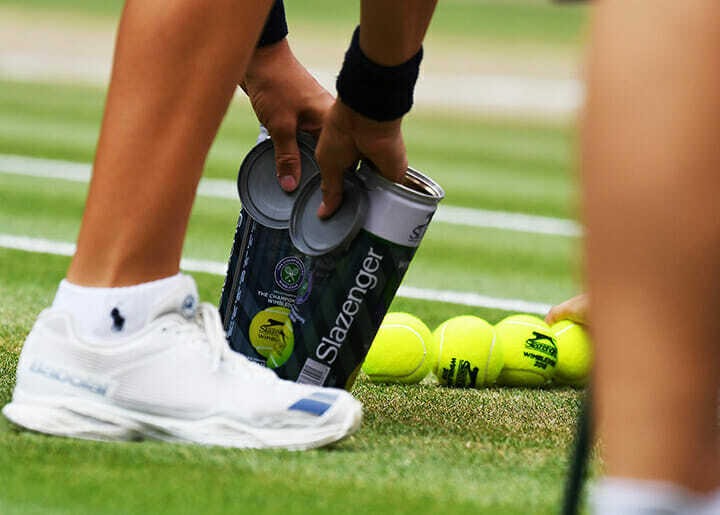 There are the honorary stewards, whose wide-ranging role extends from the AELTC courts and surroundings to the on-day sales queue outside the grounds in Wimbledon Park and as far as Wimbledon and Southfields tube stations. The stewards provide a warm and friendly welcome to all who come to the Championships and help visitors to find their way around the grounds. 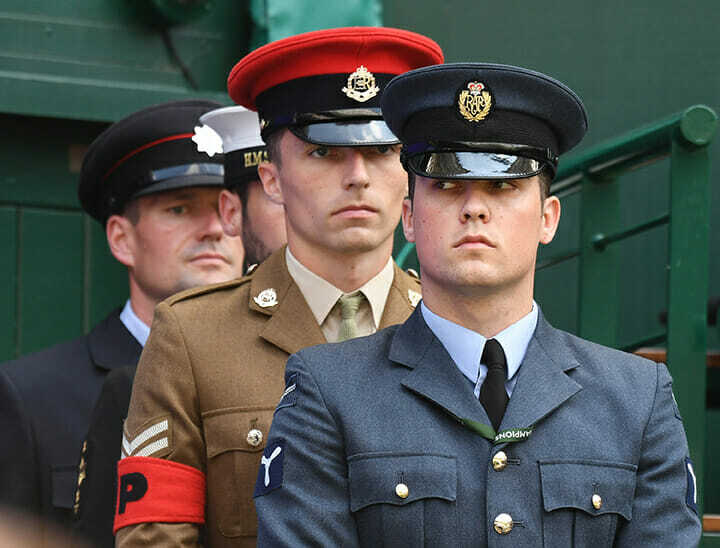 Strangers to Wimbledon might be surprised at the number of military personnel in the grounds and wonder if there’s a heightened security issue. 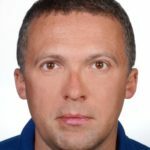 However, while the All England Club has discreetly enhanced security measures in recent years following the rise in global tension, the Armed Forces’ presence dates back more than 70 years. Wimbledon suffered bomb damage during the Second World War with one of the 40 bombs that hit the area striking Centre Court in October 1940. This destroyed part of the roof and enough seats to reduce capacity by more than 1,000. When The Championships resumed in 1946, service personnel were involved in helping direct people to their seats around the bomb damage. 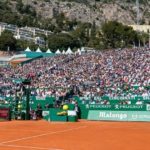 That was the beginning of a long relationship with more than 300 members of the military working as unpaid volunteer stewards at The Championships each year. They are complemented by around 200 volunteers recruited from the London Fire Brigade, who, like the military personnel, take unpaid leave, and nearly 200 members of the public, also volunteers, known as the Honorary Stewards. 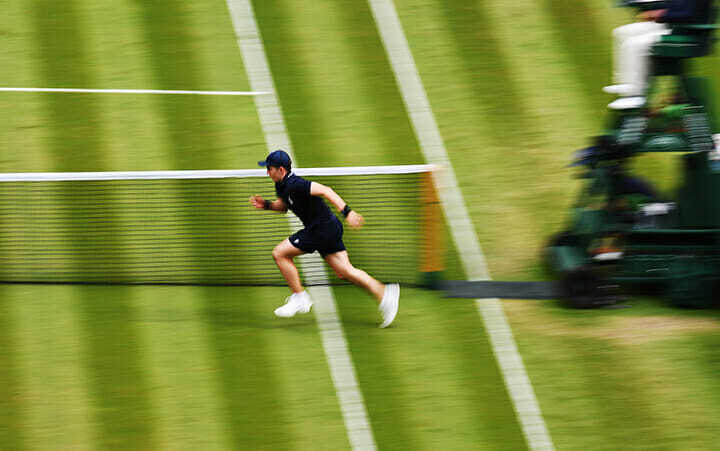 Another essential cog in the wheel of success of Wimbledon is due to the highly trained scampering ball kids. 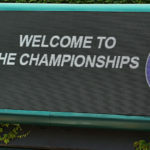 About 250 Ball Boys and Girls (known affectionately as BBGs) from around 700 applicants work at The Championships. The average age is 15 and many BBGs spend two years at the Championships. 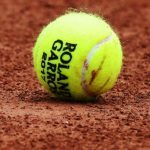 Four teams of six are selected to be responsible for Centre and No.1 Courts. Six teams of six rotate around the other show courts. The remainder, in teams of six, rotate around the rest of the courts. Their usual routine is one hour on, one hour off. In the 1920s and ‘30s ball boys were provided by Shaftesbury Homes. From 1946 they were provided by volunteers from institutions and schools, including Dr Barnardo’s homes. 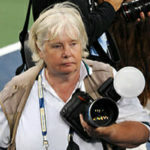 In 1977 ball girls were introduced and in 1980 the first mixed teams of ball boys and girls. Five years later saw ball girls on Centre Court for the first time. Training begins in February at AELTC. 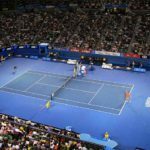 Each prospective ball boy/girl will train once a fortnight and also attend four brief court training sessions at the Covered Courts before Easter. After the Easter break all training takes place at Wimbledon (mainly on the Covered Courts) and lasts until mid-June apart from school holidays. The training sessions last 2-2.5 hours with 50-60 children per session with four sessions per week. 7. The “Village that never sleeps”. Even after hours, activity goes on all night at the All England Club. Security checks, litter cleaning, preparing the hospitality and concession facilities for the next days guests. 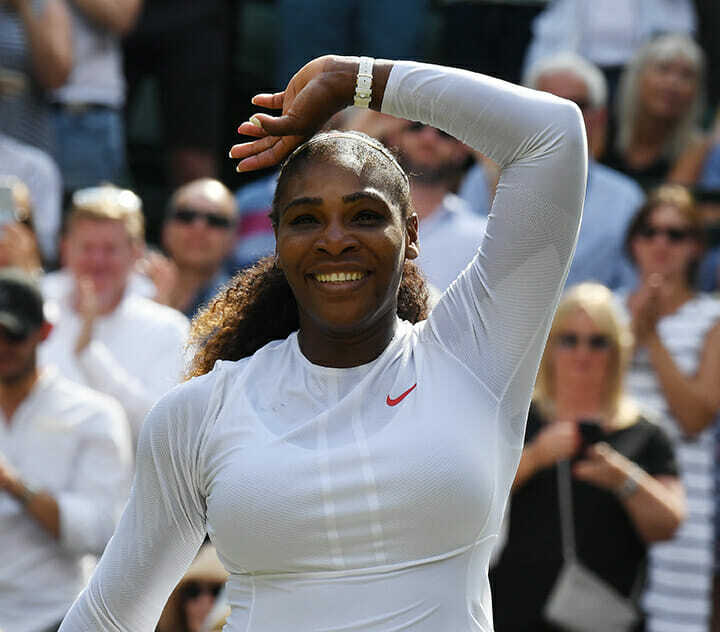 A joyful Serena Williams can’t believe she has made it to another Wimbledon singles final so soon after taking time out to become a mother, emulating Kim Clijsters, Margaret Court, Evonne Goolagong Cawley, Lindsay Davenport and Victoria Azarenka. 9. Angelique Kerber and Jelena Ostapenko. 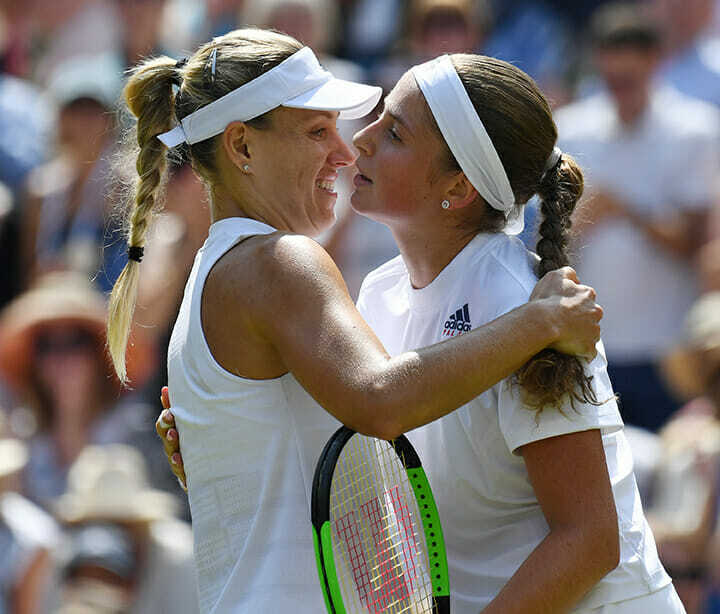 Angelique Kerber shares a warm embrace with her defeated semi-final opponent, 21-year-old Latvian prodigy Jelena Ostapenko. In May last year she arrived in Paris as an unknown teenager, and left as a Grand Slam champion. She lists her hobbies as dancing, shopping and reading. 10. 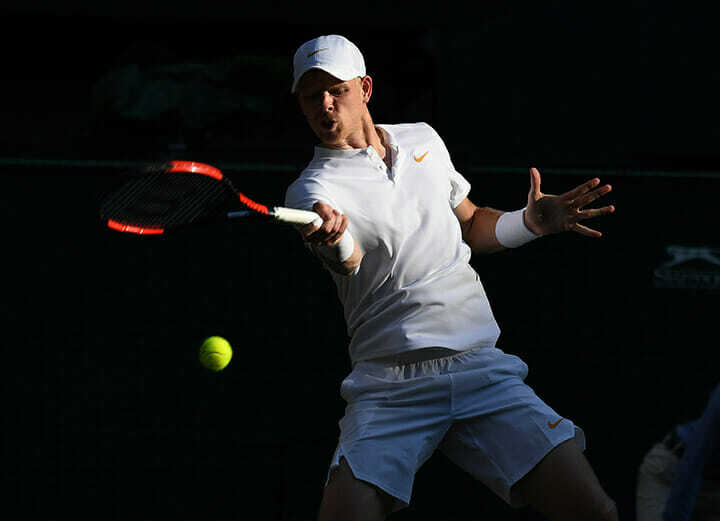 Kyle Edmund: “Magic Light time”. 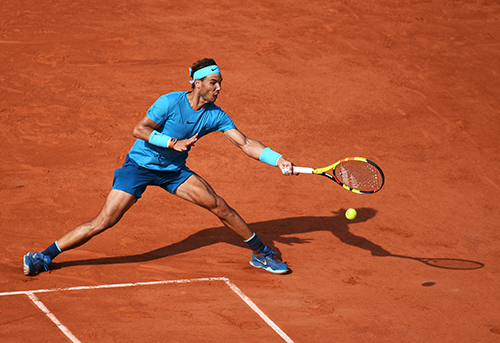 Tennis photographers at all the Grand Slams are looking to capture the world’s top players in late afternoon sunshine, which casts intriguing long shadows, dark backgrounds and accentuated highlights. We call this “magic light time” and the optimum period last only a few minutes, a bit like watching an eclipse. This was an opportunity for me to shoot Britain’s Kyle Edmund on Centre court during his third round loss to Novak Djokovic. 11. One for the ladies. Prolific perspirer Rafa Nadal’s obligatory between sets shirt change and towel down, followed by his OCD placement of his on court liquid refreshments. ‘Nuff said! 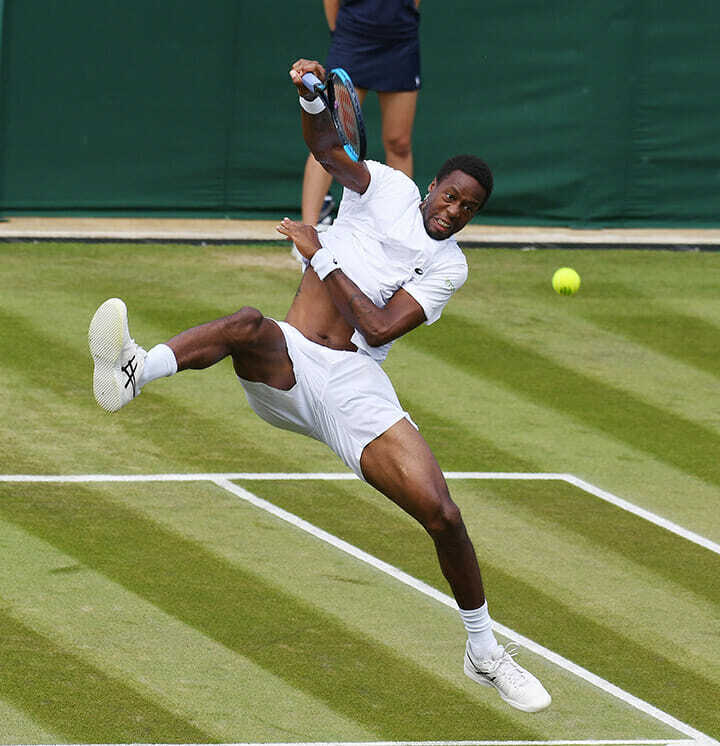 French star Gael Monfils can usually be relied on to produce a bit of acrobatics in most of his matches. Sometimes you might have to watch a whole match. The trick, or rather luck, is to be in the right place (and where photographers can operate from in live play is strictly controlled) and at the right time. I got lucky on this occasion, having barely got into an elevated working position atop Court Three, Gael delivered this acrobatic “Slam Dunk” facing me in the first game. Knowing I was not likely to get a better shot in that match I left at the next change of ends to look for my next target! 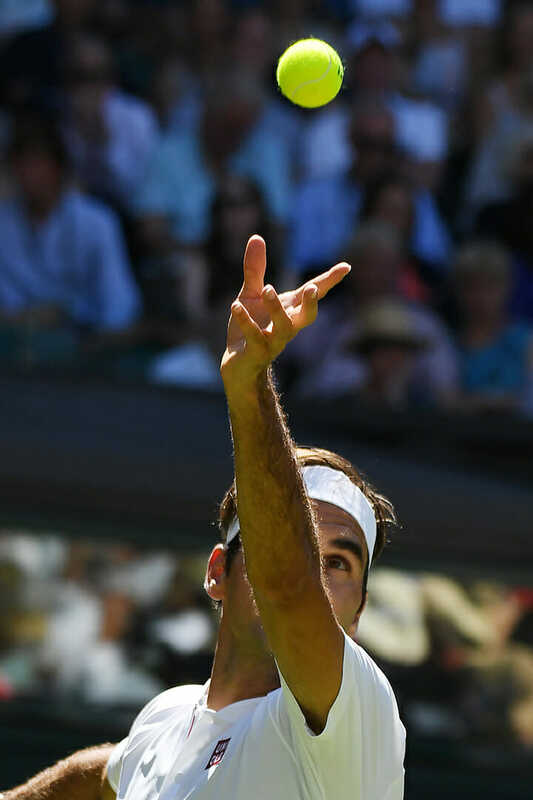 No current Grand Slam is complete without the presence of Roger Federer “King Roger” “Federer Express” “El reloj suizo (The Swiss watch”) “Der Kunstler (The Artist”), call him what you will. 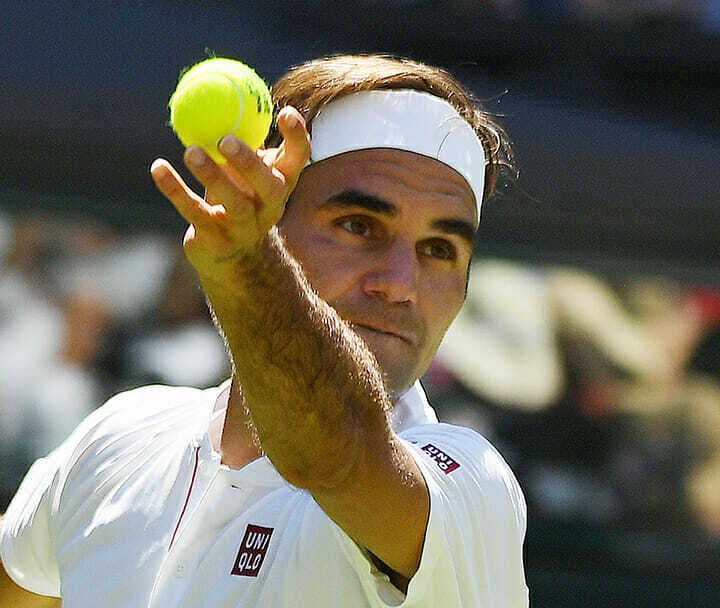 Federer has won an all-time record 20 Grand Slam singles titles and has reached a record 30 Grand Slam finals (10 consecutive, and another 8 consecutive – the two longest streaks in history) 43 semi-final appearances, and 53 quarter-final appearances. He held the world No. 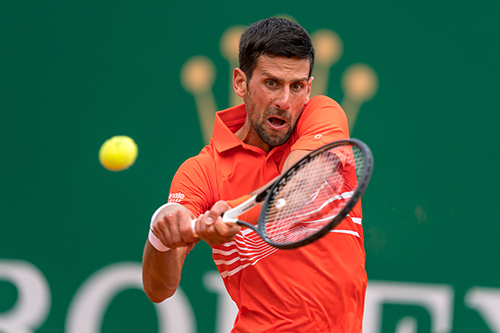 1 spot in the ATP rankings for a record total of 310 weeks, including a record 237 consecutive weeks. 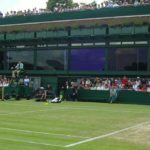 Surprisingly beaten in this year’s semi-final in an epic battle with Kevin Anderson Roger Federer’s spell over Wimbledon was broken when he finally lost a set for the first time since July 8, 2016. At that time David Cameron was British prime minister and the English soccer team were still a bunch of easybeats! Some might say no change there then. The President of the All England Lawn Tennis and Croquet Club is the Duke of Kent and Her Royal Highness the Duchess of Cambridge is Patron. My first picture shows HRH The Duchess of Cambridge enjoying the Men’s Singles Final with Prince William sitting alongside, and Tennis Legend Rod Laver sitting behind her. I had the pleasure of photographing Rod Laver in the last year or two of his playing career on Centre Court. The presence of The Royals, VIP’s and “A lister” celebs attracts the paparazzi who have no interest in photographing the tennis match going on in front of them, much to the annoyance of “sports” photographers like myself. We “regulars” have had fun with the likes of Sarah Ferguson teasing photographers to catch a picture of her popping sweets from the copious baskets provided out of sight in the Royal Box for those who are tempted. Some of the elderly politicians such as Sir Edward Heath had a habit of nodding off during live matches (even a lady line judge was court napping on duty – not by myself unfortunately) deep in the afternoon after consuming lunch, probably accompanied by a few libations. When one of my images of Ted Heath asleep a couple of rows behind Princess Diana in the Royal Box appeared in a tabloid newspaper, Mr Heath’s press secretary wrote to the Newspaper’s Editor to complain that he had only “blinked” and he had “most definitely not nodded off”. This was in the pre-digital days of 36 exposure rolls of black and white film which was processed and printed back in Fleet Street. Our picture editor sent the press secretary a black and white contact sheet showing all 36 consecutive pictures of Sir Edward “blinking”. There was no further communication on the subject. 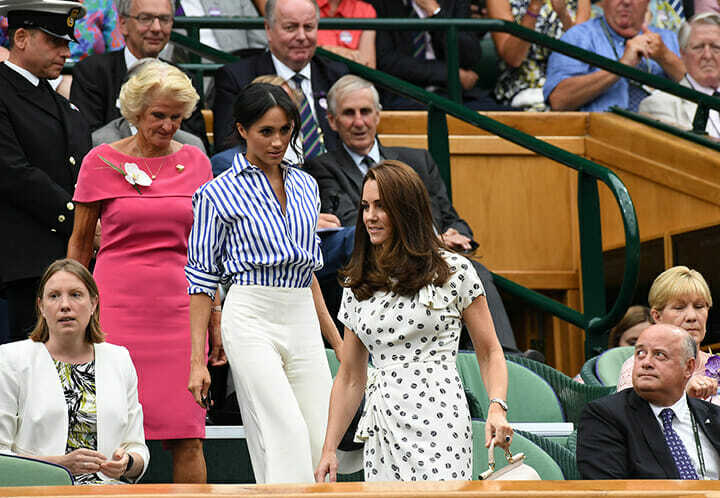 For the Ladies singles final this year, The Duchess of Sussex looked very chic at the women’s final with a style that reminded me of Katharine Hepburn. 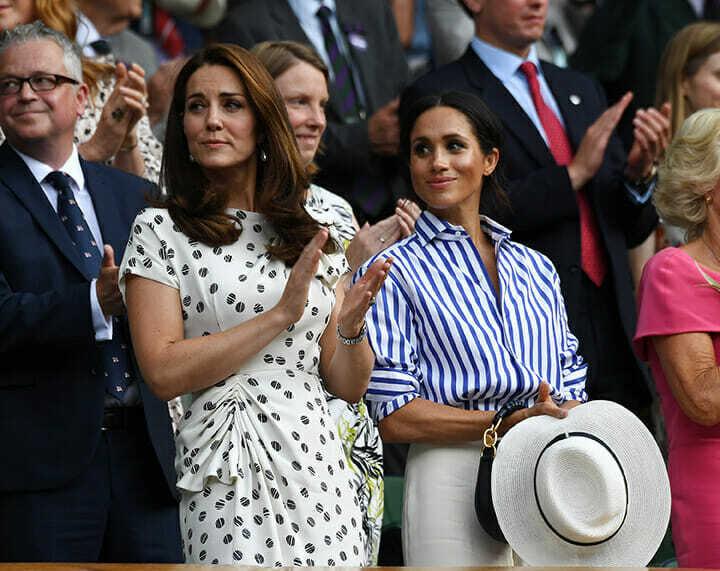 The Royal, who was joined by the Duchess of Cambridge in what was their first joint public appearance without Prince William and Harry, wore an oversized blue striped shirt by Ralph Lauren, the brand Wimbledon chooses to outfit its umpires and lines-people. Over the years we have had the privilege of seeing Her Majesty the Queen, and many other Royals in the Royal Box as well as Sporting Legends on the middle Saturday, as well as a plethora of politicians. 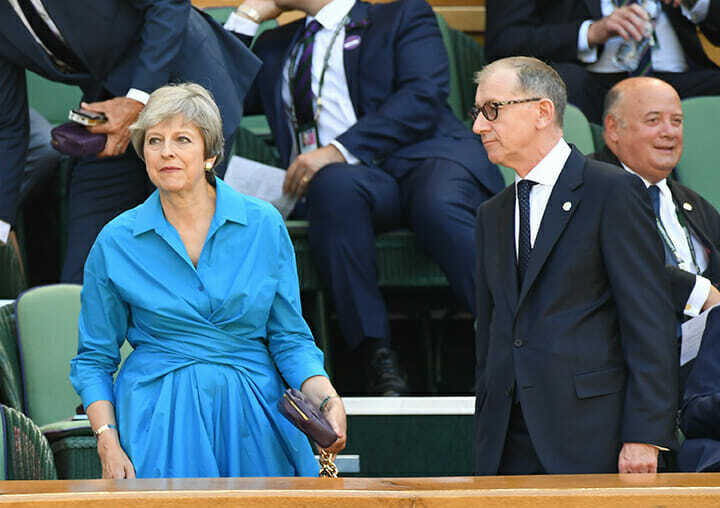 This year British PM Theresa May, more known for her interest in cricket, arrived in the box and was actually accorded a cheer and a round of applause from the crowd in support of her current well publicised Brexit battles. 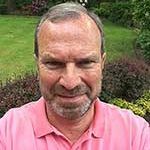 I however, got caught up on both finals days in the Royal Limo motorcade with it’s “Hells Angels” convoy of police motorcycle outriders, accompanied by more Range Rovers than there are in Guy Salmon’s London Showroom, as I approached Wimbledon in my car. The delay is always annoying, so I felt the least they could do in return was offer me some great pictures on Centre Court.